I'm not sure how Summer was on your side but the last two weeks of it was freaking hot on my side. It'll come as no surprise that I welcome the arrival of colder, rainy weather that accompanies Autumn with open arms. But I do miss the smell of Summer; the saltiness in the air, the smell of blooming flowers...sigh. Or maybe not? Right before I left for my vacation, I received a personalized Demeter Foolproof Blending Trio (check here) courtesy of a collaboration with Canadian Beauty Bloggers (check here). I received three scents; Jasmine*, Salt Air* and Lavender*. Needless to say, I wasted no time and jumped right in and started spritzing and testing. 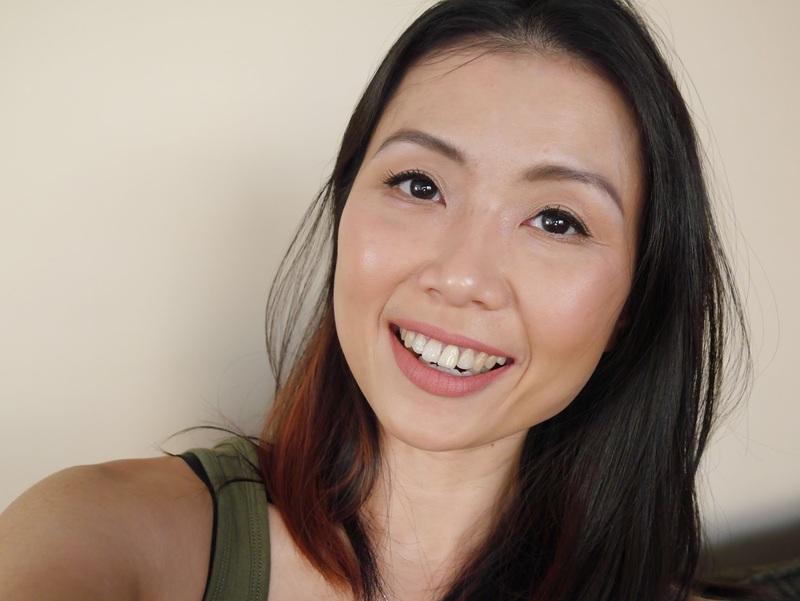 I am a long time fan of Demeter and was lucky to test a few of the products which you can read here and here. So it'll be no surprise that I am head over heels in love with this latest trio. They are Summer in a bottle. Jasmine* ($18.00) ~ This smells exactly like the flower which I am not the biggest fan of. It's slightly softer and less pungent than the other Jasmine scents that I have come across so it didn't make me gag which is a major plus point. Salt Air* ($18.00) ~ Definitely one of my favourite scents from Demeter! It smells like cold, fresh early morning crisp air with a hint of saltiness. Lavender* ($18.00) ~ I love anything with lavender and scent reminds me of fresh bouquet of lavenders in Summer. I created Summer Lovin' (10 points for creativity, eh? *sarcasm*) with a ratio of Jasmine* (2): Salt Air* (4): Lavender* (2). The mixture is the perfect balance of freshness, crispness, floral with a touch of sweetness. And I have been wearing it a lot because it reminds me of Summer without the crazy heat. 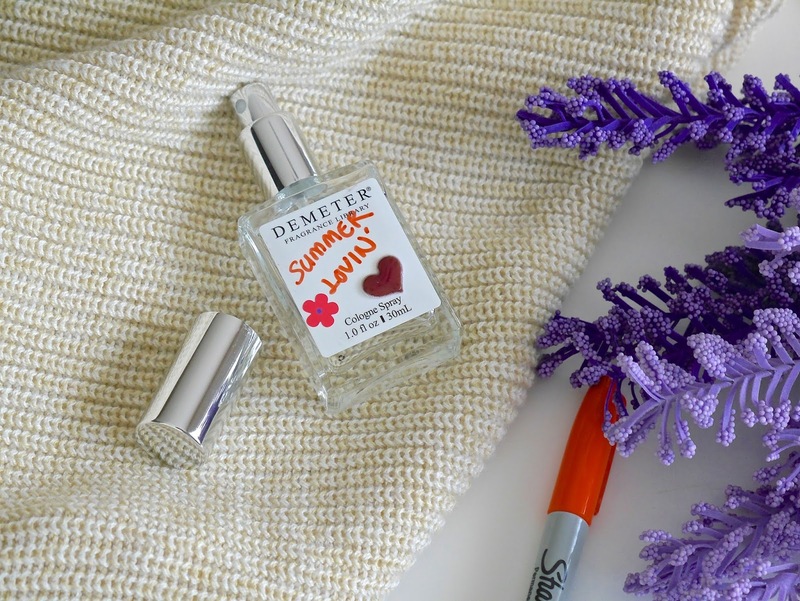 Demeter hits the ball out of the park again with these scents. Yes, I do wish the scents longevity was a touch longer as they seem to dissipate after 4-5 hours but it's not a deal breaker for me as I don't sweat much. 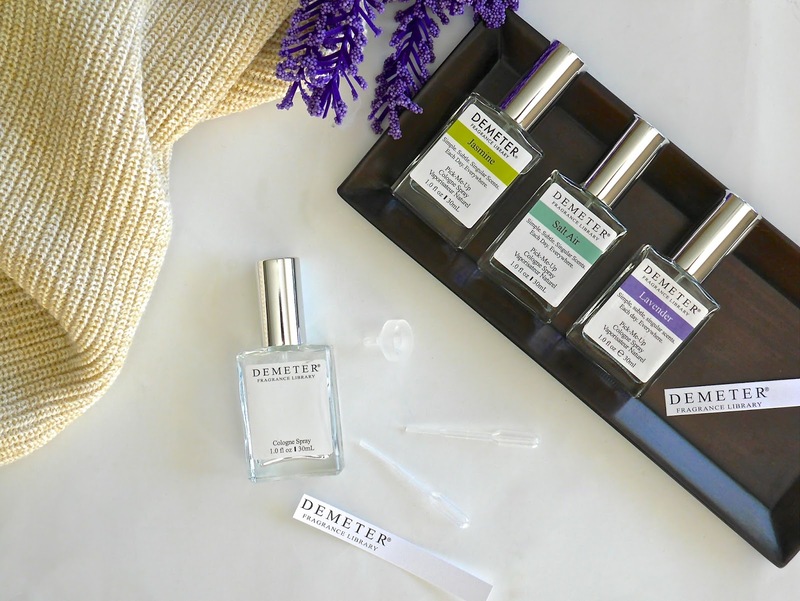 If you're looking for a specific or unique scent or feeling adventurous and want to create your own special scent then I highly suggest checking out Demeter.